At the end of September 2015 the sale took place at Christie's in Paris of over a thousand pieces from the collection of the author and TV producer Jean-Louis Remilleux. 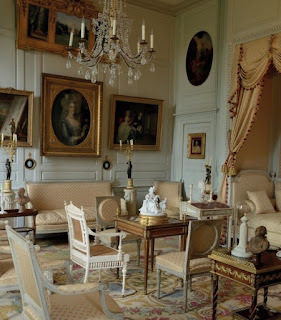 In 2012 Remilleux bought the 18th-century château de Digoine in the department of Saône-et-Loire with the intention of restoring it and opening it to the public. 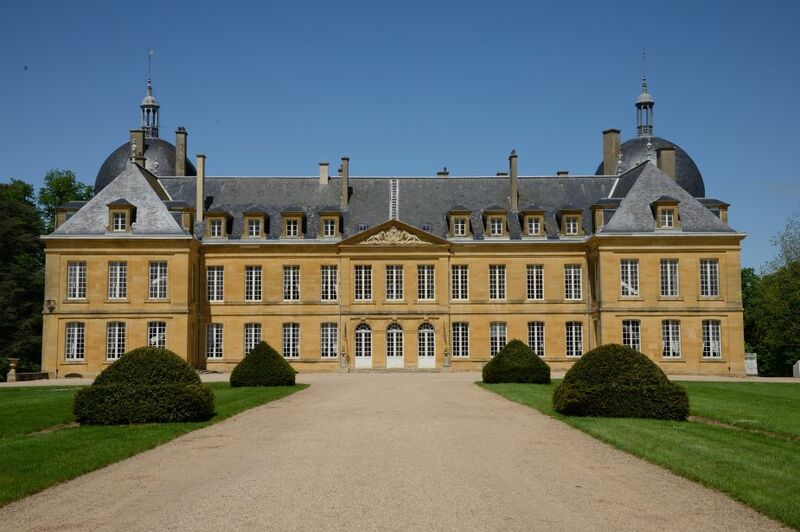 The sale was to finance future restoration work in the stables, gardens and outbuildings and ensure the preservation of a magnificent 19th-century private "théâtre de société”. The most expensive lots were mostly furniture: a settee stamped by Mathieu Bauve was estimated at €350,000-€450,000. 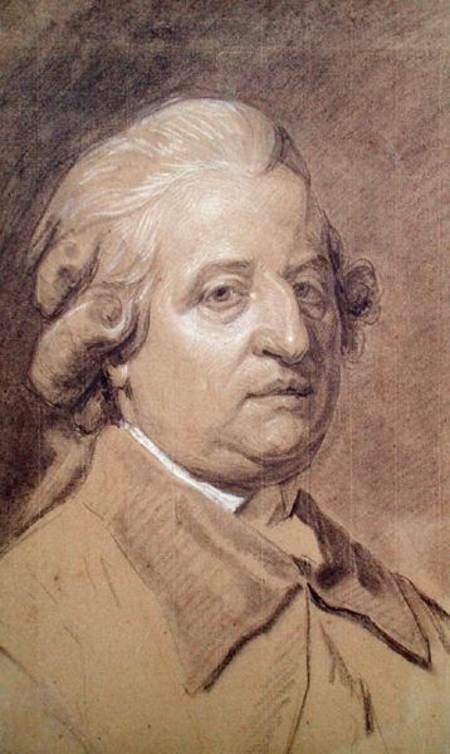 For me by far the most striking lot was this disconcerting portrait of Louis XVI by Alexander Kucharski. The only provenance given was the previous owner, the designer Karl Langerfeld, who had sold it in 2000. I found the catalogue for this sale but that too contains no details; indeed it claims only that the picture was "attributed to Kucharski". The price fetched in 2015 was comparatively modest - (€6,250) - suggesting that provenance is indeed uncertain. Surely an expert could tell us more? Either way, there are no other Kucharskis of the King that I know of, and it is a striking image - though the air of startled vacancy may be an effect of the slightly awkward perspective. 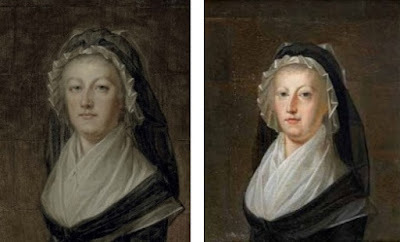 For comparison, here is Ducreux's Louis which is generally reckoned to be Louis last attested portrait. Lot 102 is also mysterious. 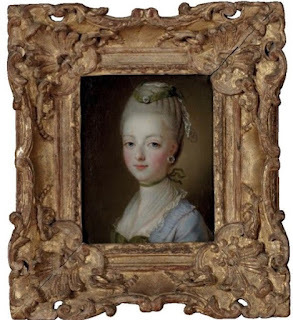 It is an example of Kucharski's famous, and oft copied, portrait of Marie-Antoinette in the Temple. The price fetched was €7,500. The only provenance given is again a previous sale: "Vente Tajan, Paris, 28th October 2008, Lot 117". Strangely enough, when I tracked down the 2008 catalogue, the picture illustrated was completely different. Hard to say what is going on here; however, the 2015 portrait, is very similar to the lost "original" oil which once belonged to the Prince d'Arenberg, now known only from a photograph in the Bibliothèque nationale. Lot 84: Hubert Robert, The Belvedere of the Petit Trianon ("Pavillon de Mique"). 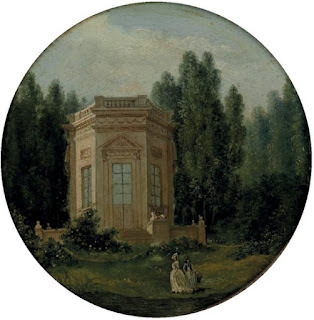 It is thought possible that the figure in the foreground is Marie-Antoinette herself. 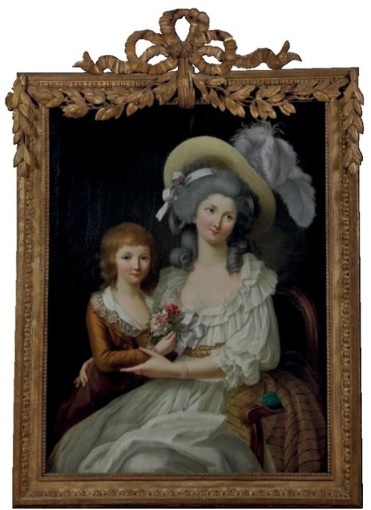 Lot 117: Workshop of Marie-Victoire Lemoine. Portrait de Marie-Thérèse de France,with the Dauphin Louis-Charles. 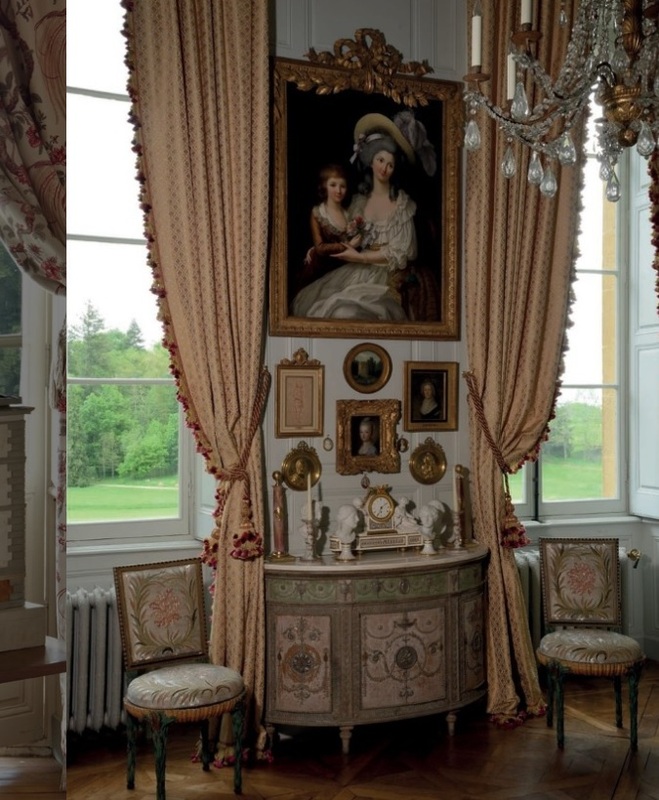 Here are these lots displayed in the château. It seems a shame to have disturbed these beautiful interiors though, to judge by the website, the intention is now to create a more consistent early 19th-century decor in line with the theatre. 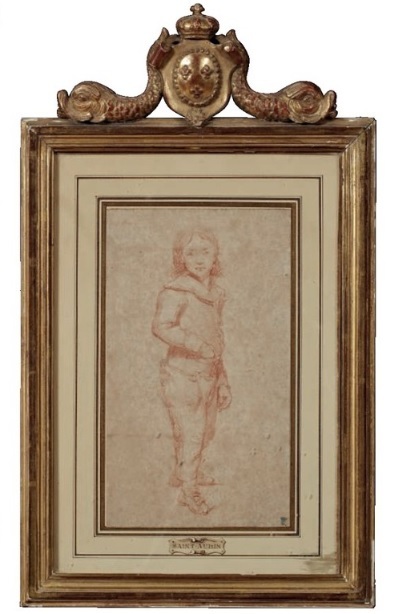 "La vie du château: collection Jean-Louis Remilleux" Christie's, Paris sale of 28-29 septembre 2015. At the moment the château is closed for the promised renovations but will reopen for the 2017 season .